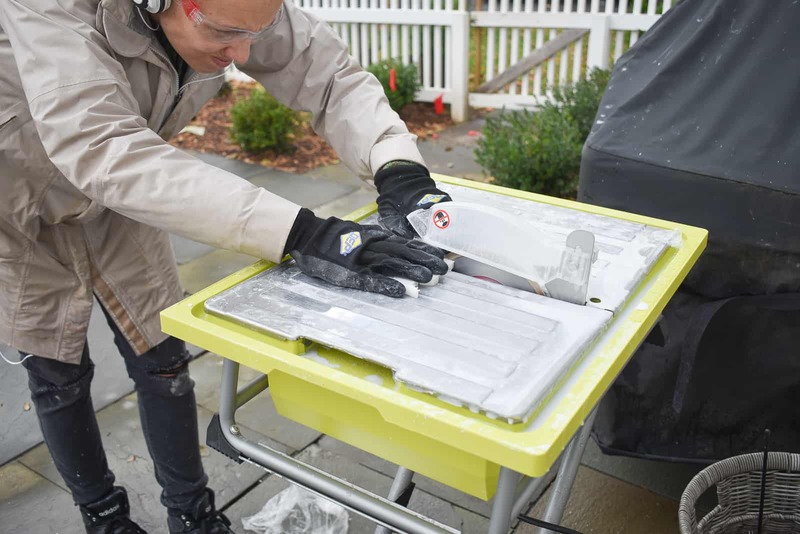 I’m partnering with The Home Depot on this post: they provided me with materials and supplies but opinions, instructions and messy grout lines are all mine. You’re welcome. I’m not gonna lie… this project almost got the best of me. Almost. Our kitchen backsplash *was* a dated assortment of fruits and vegetables. I gave it a two year grace period by painting it. 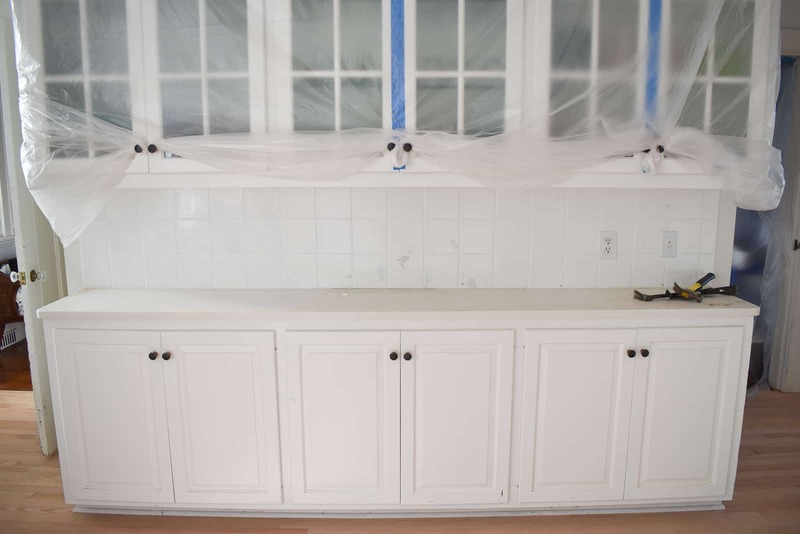 The paint definitely did the trick, but after a few other updates in the space (painted cabinets, hard wood floor…), the backsplash started to look more and more shabby. 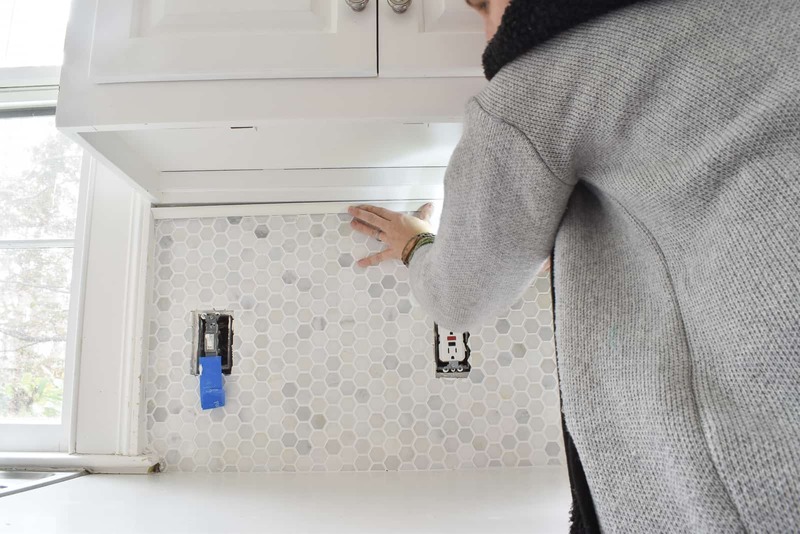 I’ve tiled floors before, but never a backsplash and I figured ‘how hard can it be?’ Answer: it’s not hard, but… there were times when I was frustrated by my own rookie lack of precision. 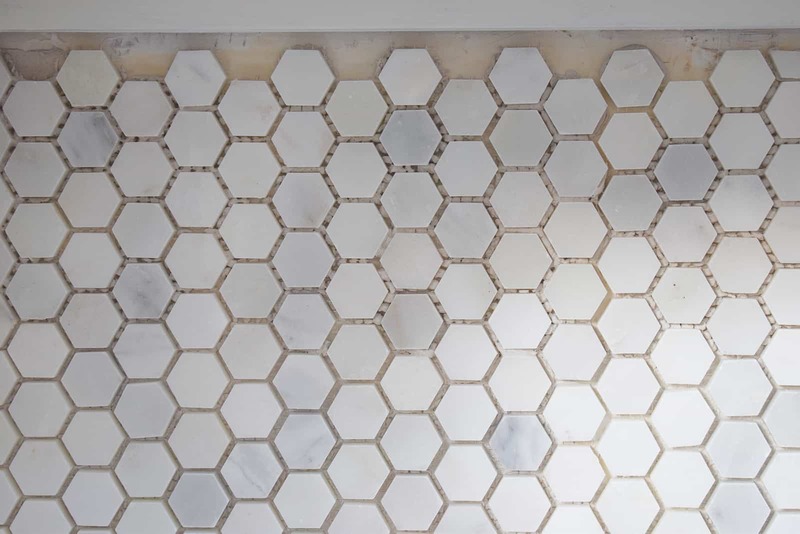 I used these small marble hex tiles and I LOVE the finished product, but learned the hard way that installing such small tile posed some problems. I struggled to find the best technique for the edges, and tried both cutting the sheet of mosaic tile first and placing the mosaic sheets first and then filling in with cut tiles after. Jury’s still out on which method I prefer! 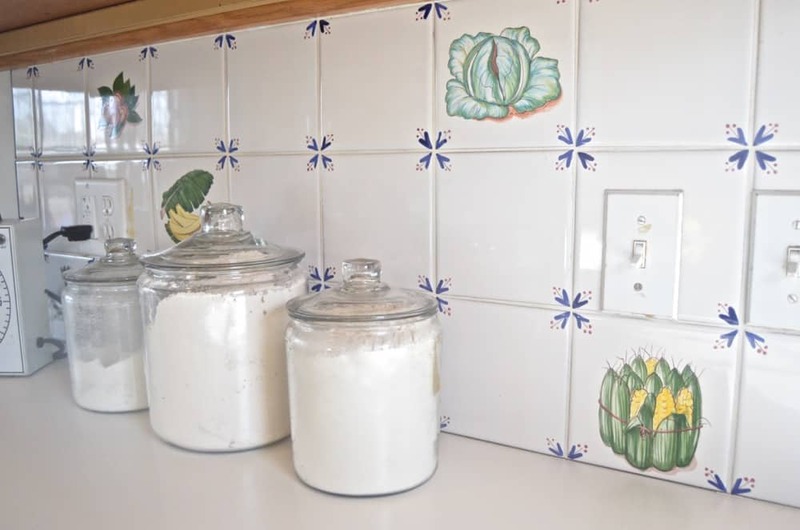 My Ryobi tile saw made ALL the difference in the world, and I used a white non-sanded grout. Other protips? Thank goodness for trim as it helped to clean up the top edge of the tiles. Finally, I picked up some thin tile edge pieces to help with the few places where the tile ended mid-wall. 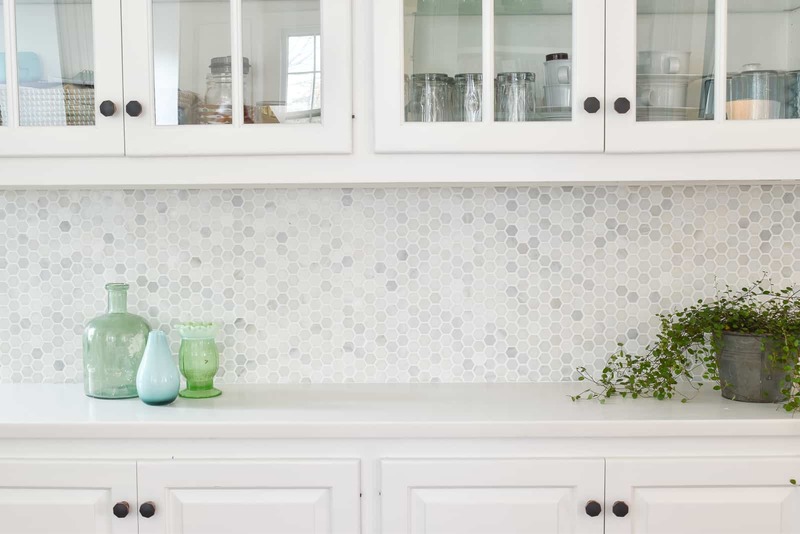 I LOVE the way these smaller tiles look in the space. They have a lovely gradient of grays and whites and the smaller hexagons are a subtle but classic backdrop. 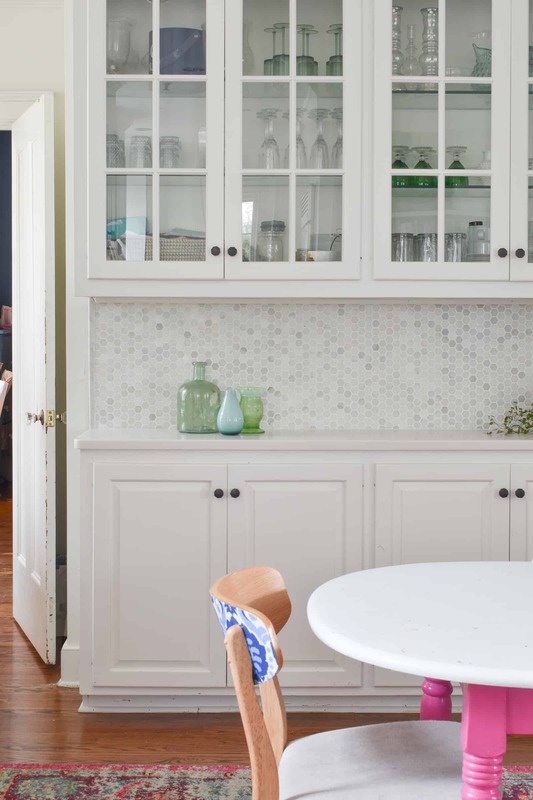 Because the counters are also white, the marble tiles are nicely framed between the white cabinets and the white counters. 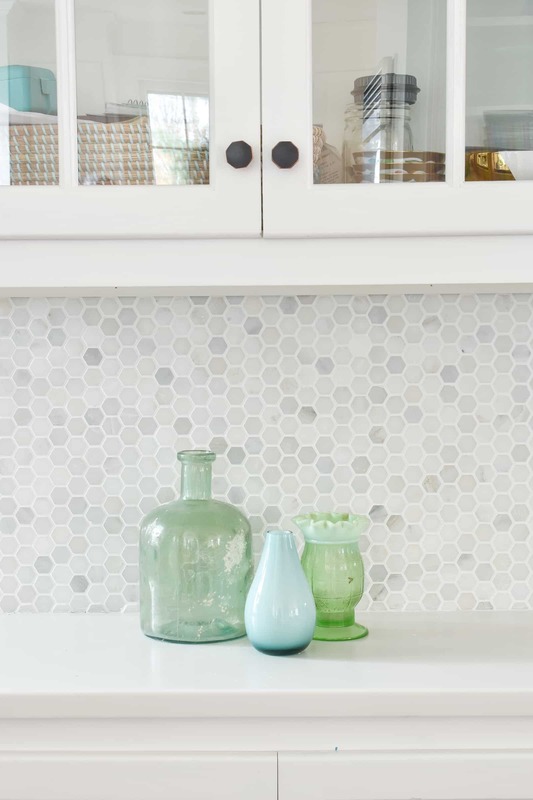 When it comes to tile… I definitely think the more you do it, the better you get. Things I would do differently next time? Take a little more care around the outlets… the plates cover the edges, but… they weren’t great. Regarding the edges… caulk is super helpful cleaning up the line along the counter, but next time, I would pay more attention when I dry fit the tiles. I was paying attention to the ‘big picture’ of the layout and didn’t focus on how small a fraction of each tile I’d need along the edges. I didn’t realize the challenges these smaller tiles would present: namely that a ‘half’ tile is *really* small. So a ROW of half tiles gets fussy real fast and was hard to keep uniform. Great job! I am about to tackle my bathroom BACKsplash. I hope my tile comes off cleanly. Since I don’t have upper cabinets, I guess the sensible thing to do would be to score the gypsum board before I start so it doesn’t end up pulling up my wall. 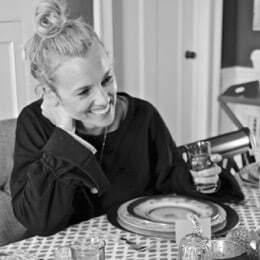 As always, you are a source of inspiration. We were SO lucky at how easy our tiles came off! 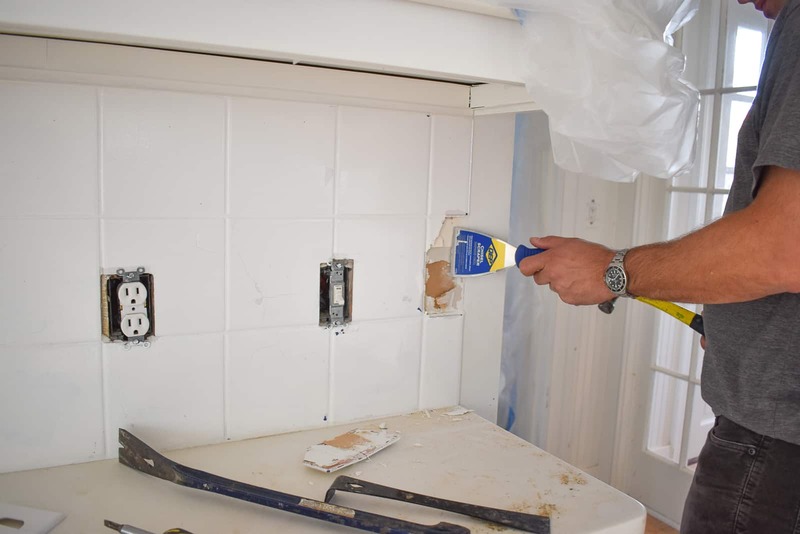 I had lots of people tell me that they simply took a Dremel and cut the dry wall just to save themselves time!